To add Gallery Images, hover over the “Gallery” button located on the left hand bar. From here you will see a list of options to manage your galleries. From Here you will placed on a welcome page. Let’s go ahead and click “Gallery” as labelled below. 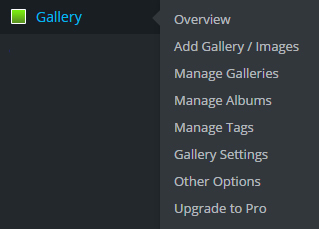 In here you can sort your gallery, and add text to current images. To add images to existing gallery or a new one, Select “Add Gallery/Images”. From here you can select from the drop down menu. Either Create A New Gallery or choose from an existing one. Press the Add Files Button and select the images you wish to upload. 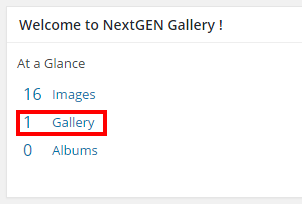 Once completed, You can click Manage Galleries to sort your gallery and add titles to images. Select the page you wish to add a gallery to. 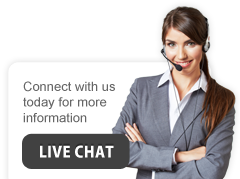 Click on the Visual Option. Once clicked you will see a Green Icon. 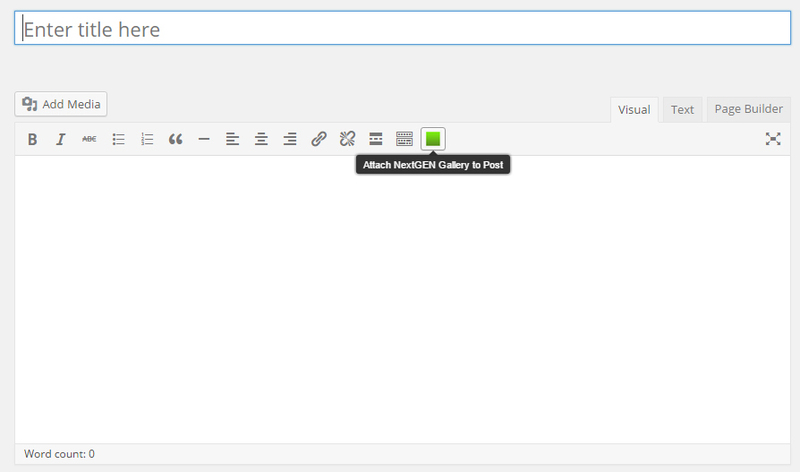 Click this to add your Gallery and follow the steps to add the thumbnails to your page. In the menu popup you will see 4 accordion panels. Once completed, click on “Customize the display settings” tab. In here you can select from many options such as choosing how many images you wish to display. One notable selection would be to click “No” on “Show slideshow link”. Click “Save”. Once saved, click “Update” to the right and view your results!